Looking back at the landmark stories for the AV industry in 2018. 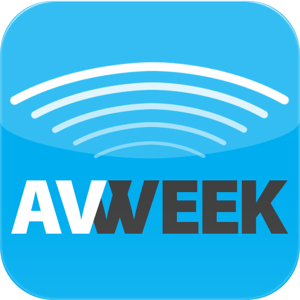 AVWeek 345: As integrators across the globe look to expand their client base beyond their home borders, they look to partners to help them do so Our panel talks about ways manufacturers can help make that growth a bit easier. AVWeek 345: With the revelations about Cambridge Analytica and Facebook, our panelists tackle an article written by Dan Newman. There are laws and expectations when you, as an audiovisual integrator, handle someone’s data. You need to protect your customer’s data and yourself. Dan Newman writes in Commercial Integrator this week about how the Facebook data issue is a cautionary tale for audiovisual integrators. Working with your manufacturer partners to expand globally. Samsung’s new cinema display and what it says about the cinema market and their Harman acquisition. AVWeek 333: ClearOne has started a traveling road show. Our guests discuss the importance for manufacturers and reps to connect with audiovisual dealers. There are some firms who don’t attend national, or international, trade shows. Going to see customers where they live is a way to bring your products to them. LG announced their OLED Canyon. What impact will it have on commercial audiovisual? We look at the first merger and acquisition of 2018 and talk about the impact investment banking will have on AV. The importance of regional tradeshows and connecting with customers.